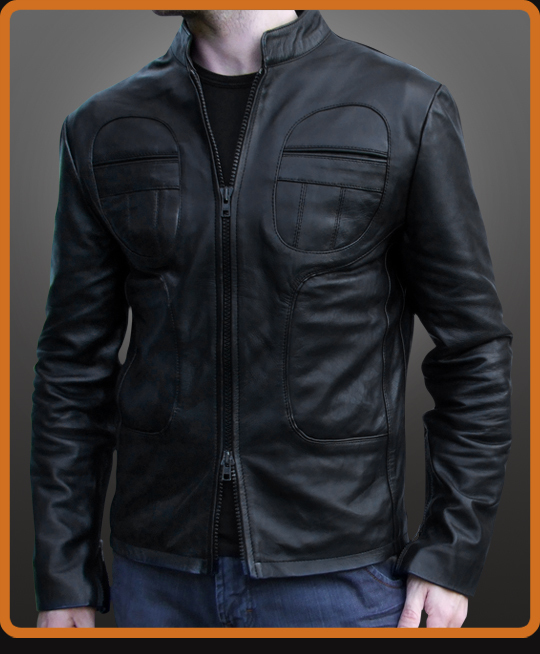 Vintage style 1.2mm leather biker jacket with armor protection, Authentic styled round chest pockets and front piping which curves down to form the lower pockets. Nehru/Mandarin style collar. Superfly!